Howdy! My name is Netanel Ashkenazi, I grew up in Israel and moved to the states when i was 9. I became a baal teshuva along with my family back in middle school. For High School I attended public school. By junior year the struggle to remain religious was a bit hard and by senior year it was overwhelming. 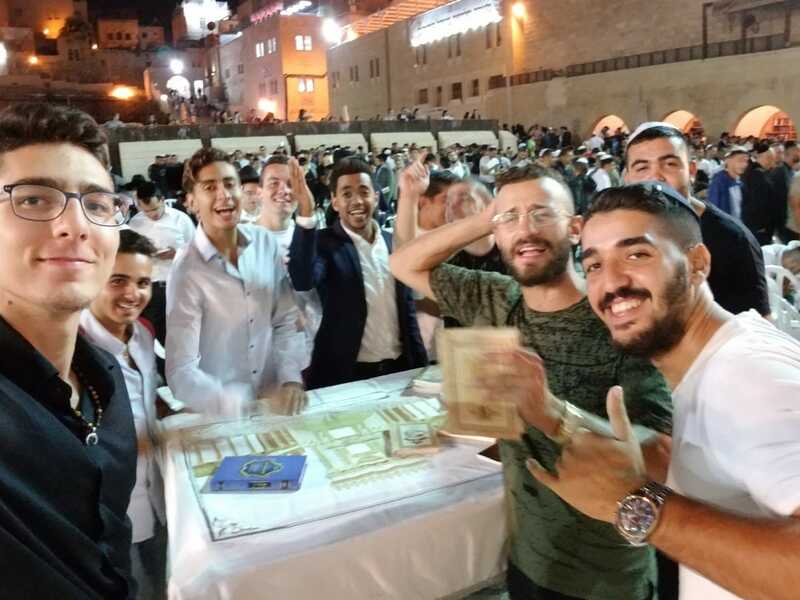 Considering a gap year before college, yeshiva has popped to mind. Now let’s fast forward the part where I explain that most of my friends were not Jewish and when asked “where will be going after high school?”, answering “yeshiva” was simply not the “in” thing to do. So ladies and gentlemen, grab the remote control and fast forward because I have never made a better decision in my life! Imagine you are me. That bubble above my head, yes that one right up top, pop it. Take a pin and pop it. C’mon pop it. Boom! “Everybody please fasten your seat belts we are getting ready for landing” and just like that they added “ Welcome, ladies and gentlemen to Israel,we hope…” The whole plane started clapping and cheering. I remember being filled with excitement! At this point arriving in Israel was remarkable and taking the 1st few steps felt like a dream. A few weeks later yeshiva started. 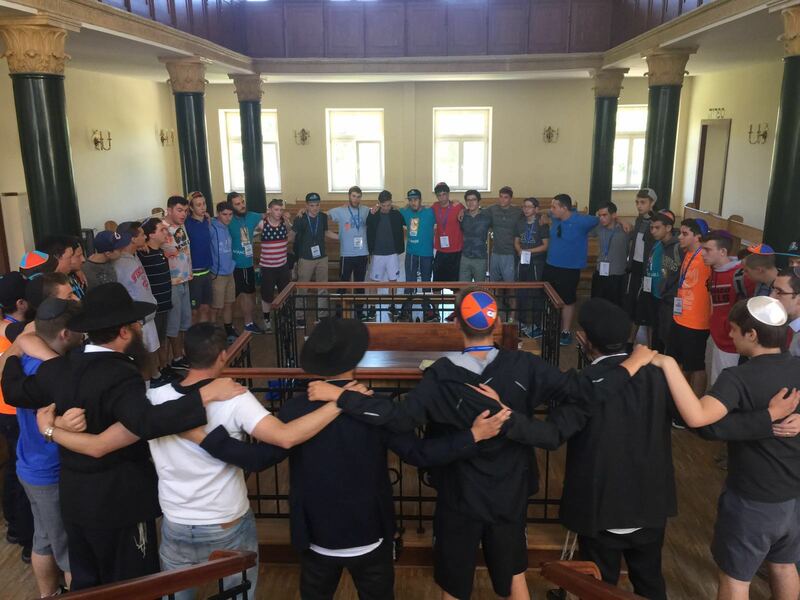 Enrolling into Aish Gesher I was wondering what the guys will be like, will the trips actually be fun, and what the rabbis are like. The guys were great! 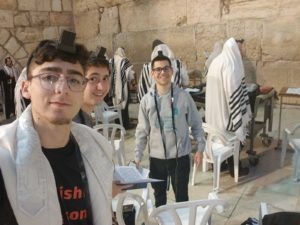 For them coming to Israel for a year is the regular thing to do no matter how religious they are, as they come from a large Jewish community. Everyone was friendly, welcoming, each one had his own unique story, and talents. During the brakes we would play a lot of sports, workout, rest, go to a restaurant, watch a movie, once in a while go on trips, and constantly meet new people. The trips were fantastic, we got to explore Israel and some of its borders. 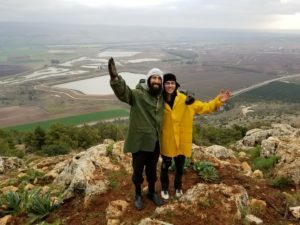 Hiking the Negev and the Golan Heights, Mount masada as well as other places. 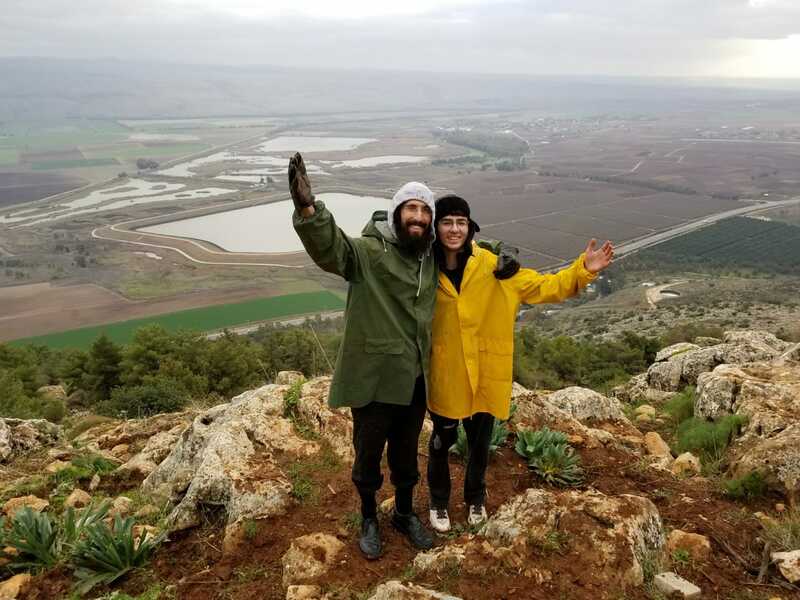 Sleeping in Mongolian tents and Bedouin tents and experiencing some of their culture, to hotels in Eilot and renting a yacht, visiting Kever Rachel on the side of the road, traveling to Hebron, Bnei Brak, shabbatons in the holy cities which each have a different vibe. In Tzfat we felt spiritual and in Tiberias where the sea of Galilee is, we felt relaxed. In Hebron where the cave of patriarchs is, we felt pride, and part of the land. In Jerusalem we felt a rush, a fire igniting within us and the need to accomplish our goals and chase them down. Taking a deep fulfilling breath, feeling the sun shining on your face and the birds tweeting, and the breeze brushing through your hair as you jump off the cliff into the water, and wiping mud off our faces when ATVing. You know I’ll let you in on a little secret. A Cal is are normally meant for driving but not when you ride with a Breslev Jew, that cars just turns into a club. Flashing lights in and outside of the car, speakers like you can never imagine, and the roof is where the party is at. You get on top of that roof, dance and jump as if you just won a billion dollars. But as great as this all sounds, this is only a part of it, this article can only be so long. My friends, this is what yeshiva is about! It’s about growth! Yeshiva is about happiness. This is the place where you learn G-d’s work. Your brain will open up to new things, new goals and new achievements. The rabbis are spectacular. They invest in you. They make time to learn with you, answer every question no matter how weird or rude you believe the question is, they want to answer it. In addition to that, they talk to you and get to know you, become mentors and friends. Just wait until they tell you their life story. Some have tattoos, some never grew up religious and a couple even surfed in Hawaii. Waking up every morning, thanking G-d and walking to yeshiva where I pray, I step on stones. White stones all over the ground and the walls, surrounded by restaurants, food markets, clothing, Judaic and jewelry stores. In the background, a staircase away is the Western Wall. Waking up to that every morning is “lit”. I wake up with excitement, Passion, motivation, and purpose. Exploring the culture of this land and our beautiful religion has added value to my life, meaning to build off of for the rest of my life! Which is why I came back for a second year. 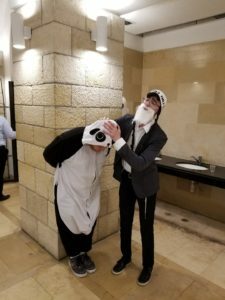 Yeshiva is an exciting place and the location matters. Time flies by around here and spending shabat with my friends at the rova or wherever we go, always feels like a highlight! The only thing I can suggest is for you to take the time and look for the best yeshiva for you, before you go off to college or work.